Functional and discreetly installed, the CDA CCA5WH white under canopy extractor sits perfectly in the February Beautiful Kitchens Magazine feature on a reader’s fresh, white kitchen design. The CCA5WH is a 52cm canopy extractor with slider control. It can be ducted out or fitted with re-circulating charcoal filters. 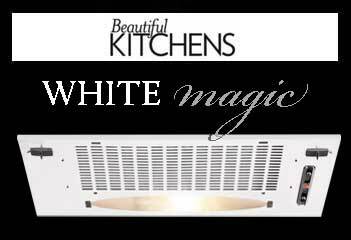 It has 3 speeds and a 40W light for flexibility and ease of use whilst cooking.